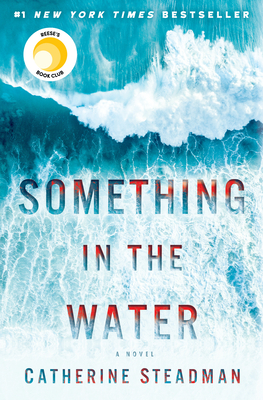 #1 NEW YORK TIMES BESTSELLER • A shocking discovery on a honeymoon in paradise changes the lives of a picture-perfect couple in this taut psychological thriller debut—for readers of Ruth Ware, Paula Hawkins, and Shari Lapena. Catherine Steadman is an actress and writer based in North London, UK. She has appeared in leading roles on British television as well as on stage in the West End. In 2016 she was nominated for a Laurence Olivier Award for Best Actress in a Supporting Role for her performance in Oppenheimer. She is best known in the United States for her role as Mabel Lane Fox in Downton Abbey. She grew up in the New Forest, UK, and lives with a small dog and an average-sized man. Something in the Water is her first novel.